SYCAMORE SLAB — TRIPLE AUGHT DESIGN + BUILD. By moving the kitchen to an secondary living room, we were able to open the main level for kitchen, dining, and living spaces to connect in an open T-shaped plan. 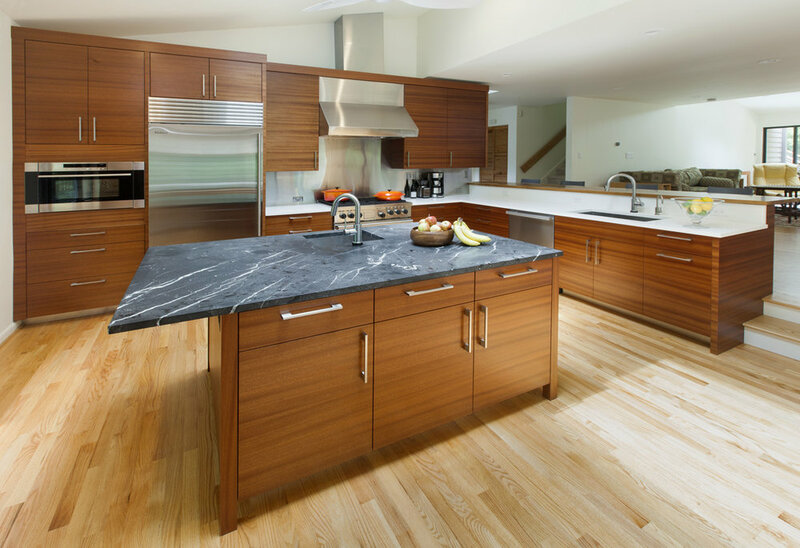 We used a combination of countertop slabs, soapstone for the island and white quartz stone for the perimeter. 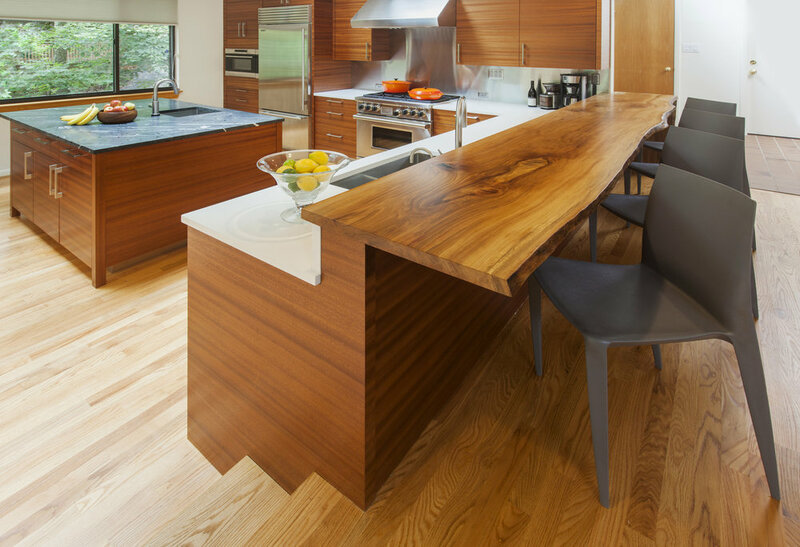 The live-edge sycamore slab we finished for the bar tabletop defines the kitchen space from the living space.